Over time from talking to people about credit cards, I’ve learned there are two general approaches people take towards credit card rewards. I used 120,000 miles for a trip that would have retailed for $22,000+. Would I ever pay that much? Of course not. Though it was an awesome experience that I still value quite a bit. If I had used a credit card that earns me cash back (let’s say 2%), that would be 15 cents. How many of those do I need for an international first class ticket? Besides, if I wanted to save 15 cents I wouldn’t have gone to Starbucks in the first place! The other approach to take is that credit cards are a great way to earn cash back on purchases you’d make anyway. That’s a perfectly legitimate approach to take, in my opinion, since a lot of people would (understandably) rather earn cash back for their purchases than miles towards an award redemption. Besides, if you have a big family and don’t want to travel in an international premium cabin, your rewards might just add up faster if you use the cash back you earn towards coach tickets as opposed to using miles. Okay, are we all on the same page so far? Because here’s where I get confused. A lot of people will accrue miles/points through rewards credit cards and redeem their points towards a revenue ticket/hotel stay. 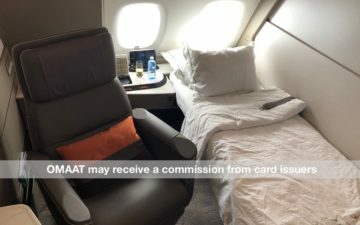 For example, one Ultimate Rewards point earned through the Chase Sapphire Preferred® Card and Ink Business Preferred℠ Credit Card can either be transferred to United, British Airways, Southwest, Hyatt, Marriott, or IHG, OR be redeemed at a rate of 1.25 cents towards the cost of travel. For example, someone will use 40,000 points towards a $500 ticket, and say it’s a good value because they’re earning back 10,000 miles because it’s a revenue ticket and not an award. It’s easy to convince oneself that it’s a good value, given that you’re “only” paying 30,000 points for $500 worth of travel (since you earn back 10,000 points, indirectly). But that doesn’t really hold up, since the alternative would have been to spend the cash. And if the alternative would have been to spend cash, then you’re probably best off just getting a cash back credit card. So I don’t want to make a blanket statement and say that it never makes sense to redeem a points currency for cash towards travel, because for some people it can make sense. This is especially true if someone is signing up for a credit card just for the sign-up bonus. So if you earn 100,000 Ultimate Rewards points with the Chase Sapphire Preferred® Card and Ink Business Preferred℠ Credit Card, you could redeem that for $1,250 worth of travel. If it were me, I’d rather redeem those points for a Virgin Atlantic Upper Class ticket to Europe, though everyone is different. Even the $1,250 of “cash” towards travel is well worth it for two new credit cards. 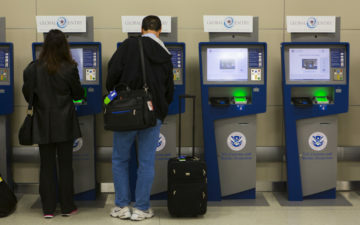 But for actual everyday spend on credit cards (as opposed to the initial sign-up bonus), you’re almost always better off with a cash back credit card as opposed to a points earning credit card with the option of “paying with points,” assuming your goal is to apply points towards the cost of travel. Agreed for UR and MR, but for the Citi Thank You program, and I think Capital One, revenue tickets and gift cards seem to be the only way to burn the points, as they do not have the transfer partners like Chase and Amex do. Thats exactly why those cards are good for the signup (currently 50k for Citi and 100k Capital One last year) but not for spend if youre going to redeem for revenue tickets/stays. What if you combine the two approaches? I’m new at this, so bear with me if i’m totally wrong here, but wouldn’t this be a superior option: First, buy giftcards at a supermarket using the Amex Blue Cash Preferred, then shop through the UR mall or other shopping portal to earn points. That way I net 6% back on my giftcards and also points towards a vacation. I know that it is not possible to double dip on every purchase (e.g. starbacks), but with a little effort, most large purchases can be made using this method. 1) Redeeming for travel rewards can be a huge boon to those of us on budgets or who have incomes or expenses that ebb and flow over the course of the year. So if my earnings are going well for the year, I may be able to indulge in a premium redemption trip, but the cash towards travel redemption is a great insurance policy if, say, one of my clients doesn’t pay his bill in February and I won’t have the cash to buy a ticket until my tax return comes in. 2) With respect to Chase in particular, maximizing the 5% bonus spend can be worth $375 a year in cash towards travel alone for properly channeling $6,000 in my spending, much better than I can do on a pure cash back card. When deciding between the two approaches, some folks also have to consider Elite requalification. It might be a better use of my points to convert them to miles and get an award trip. But such a trip is probably a long distance one … a lot of miles flown not earning … and precious vacation time used. An award trip to Europe last year left me scrambling at year end to meet my desired Elite level for this year. Using points to “buy” the trip instead (and maybe going Biz Class instead of First) would have helped a long ways towards my goal. steve64 has the right idea. If you have limited time to do mileage runs or to travel on award tickets that earn no EQM or RDM, then a revenue award might make more sense. Overall you spend more points/miles (even accounting for the ones your earn back) but you spend less time in the air and are closer to elite status. If, like me, you have a very fixed budget to earn that status each year, an extra $500-600 saved using Citi TY points can be a good thing. Seems like just a question of economics, specifically opportunity cost. But it could easily be worth 2 Rdtrip Economy Tickets. If you redeem for First Class for one trip and have to pay $500+ for your second trip. If that’s your situation, would you want to pay $500 for your next trip to fly first class for the first? 2. As to the Starbucks example, choice between 15 miles or 15 cents. If you choose the miles, your opportunity cost becomes that 15 cents. Said another way, you just made a purchase of miles at 1 cent per mile. Would you pay 1 cent per mile? Just my thought but doubt there’s a right/wrong answer to any situation. Ben seems to be accruing miles for himself, while someone like “Mommy Points” has the consider the entire family. My takeaway from this post, is to consider your own personal travel needs in the long term and to assess what’s best for your situation/financial goals. Still a little confused, but overall I love the idea of getting something free so there’s definitely a psychological approach to this. Then again, I redeemed my miles for a business/first round trip ticket to Greece with a stopover in Paris, so not quite the same as your example. Your post is confusing because you are mixing and matching some logic here. 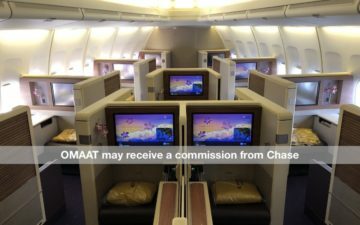 To my knowledge, there are only two programs out there that offer both a “pay with points” and transfer option (AmEx Membership Rewards and Chase Sapphire/Ultimate Rewards). This is an apples to oranges comparison. I’m not sure how you’re deriving 10,000 miles from the revenue ticket in this example, but I’m going to assume you’re talking about miles in the airline’s own program. The problem with this logic is that you’re getting back miles that you can’t mix and match with what you spend. If you spend 40,000 UR points for $500 in airfare, you spent 40,000 UR points. Maybe you get back 10,000 airline miles, but you still spent 40,000 UR points. You didn’t spend “only” 30,000 points. Lucky you are totally right. Very sound argument. Ben, I think you argument would be clearer if you limited it to coach travel. (I don’t think it *ever* makes sense to pay with points on a J/F award.) 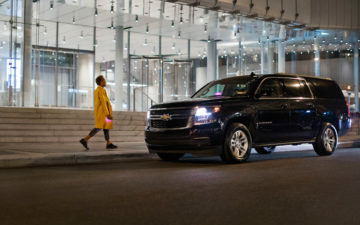 It would be better if you examine three ways to pay for the trip — straight miles, cash, or “pay with points.” Assuming your $500 ticket was a domestic coach seat, it would probably set you back 25,000 airline miles ($25,000 worth of spend in most programs); $25,000 worth of spend at 2% cash back, or $18,691 worth of spend on the bonused Sapphire categories. You mentioned 120K miles for MCO-NRT in First. Which mileage program did you use? CO site indicates 120K plus 15K for First. I agree somehwat with what Lucky is saying about the second approach. If you do not factor in sign-up bonus you can make a case for straight cash back. In my case, I do not value international premium travel (I have 2 kids under age 3) so I use for mostly domestic travel. Case in point, I used the 50k Chase Saphire bonus to cover a trip to San Diego. We will be driving so plane tickets are not needed. However, I was able to redeem 10,000 points for two sea world tickets (retail value $73 x 2=$146). I then transferred 24,000 points to book Hyatt Place Sorrento (Level 2 Hyatt propety) for three nights (retail value $161 per night X 3= $543 all in). So I was able to use 34,000 points for $689 in travel. Again, I used a bonus but assuming I spent $34,000 on a 2% cash back card, I would have received $680 back. I think I did a good job of getting value on my points based on the circumstance but given the choice most people would rather have the cash. I’m not sure I agree with Lucky that most people who have cash back cards spend their reward money on travel. I think there is a different goal, and a different mindset, between folks who use cash-back cards vs. those who use miles/points cards. As Lucky says, miles/points cards allow you to cheaply obtain an aspirational, and otherwise un-obtainable, experience. However, you’re still spending money (even if it’s not a lot, in relative or absolute terms, to do so). And this approach is awesome, and right for a lot of people. Cash back cards, at least for someone disciplined financially, can be a useful tool for saving money. A couple years ago my wife and I knew we didn’t have time for any personal travel, and we exclusively used a cash back card for all our spending. At the end of the year, we cashed in for a $1200 check from Chase, which we immediately put in the bank. In that scenario, not only did we not spend any money (even the marginal taxes/fees you spend when redeeming miles for a flight), but we saved a bunch of money on top of it. Now we’re in the opposite boat and are only putting spending on mileage cards because we want to redeem for aspirational travel. That is why I like the flexibility Chase Freedom & Chase Sapphire Preferred card link up. I earned 5% cashback on Food and Shopping in Q4 2011 when using the Chase Freedom which then I converted over to UR points. Instead of earning 2x points on food with Chase Sapphire, I got 5x with Freedom. How much money do you spend to obtain hotel statuses in SPG, Hyatt and IHG? I think you are looking at the most favorable redemption for International First Class. How many average people even travel international ? And how many of those have families to consider ? I think the people you cater to with your forum will value travel / hotels more then the average person. e.g. I am getting 3+ cents per point on a Starwood redemption for a ski vacation. Now I would have paid for the same hotel so its a ‘real’ saving. But somebody that accepts lower end hotels or (the horror) economy class flights will not get the same value back. It just depends, I value my points pretty much to the point I am willing to pay for the same type of travel. e.g. on a personal international trip I am willing to pay 3k for a business class seat even if economy is available for 800$. I would never think about paying for First so this is not even a consideration. Also the flight itself is just a means to an end for me (getting to a destination) and obviously I prefer to arrive better rested but I could care less about the food they serve me. -First, I like the value I receive redeeming SPG points for hotel stays (often 3-4 cents/point or higher). -Second, I like Southwest points for their flexibility. True, they’re only worth 1.67 cents each, but they are fully refundable with no cancellation fee – a great way to book travel if my plans are uncertain. -Third, I certainly enjoy international F/C, but am willing to fly Y. I usually book international F/C when F/C saver award seats are available, but Y requires a standard award. Then the mileage cost premium for F/C is small (sometimes zero), so I go for it. -Fourth, I use cash back cards for categories where they return 5%. I hope you travelling folks pay off your credit cards every month. The minute you start paying interest, those points or miles are no longer free. They are eaten up in interest payments. I don’t understand why consumers don’t understand this. Unless you pay off monthly, you’re paying for stuff you think is free. @ Carl — Right, for some “points” programs there’s no option, though in those cases the cards are usually only best for the sign-up bonuses anyway. @ Chris — Hmm, I believe the American Express Blue only gives 3% cash back, so not sure where you’re getting the 6% figure from? But yes, there are definitely many opportunities to “double dip” for big purchases. That being said, it’s a bit tougher to do the same for everyday, smaller purchases that can’t be made online. @ Eric — Both very valid points. @ steve64 — Certainly a good point, though I’d argue that in those instances you’re probably best off going with a full cash back credit card as opposed to a points earning credit card where rewards can be converted to cash towards travel. @ Dan — You’re right about the bonuses in spend categories, though many cash back cards have bonuses in certain categories too, often as high as 3-5%. So assuming you’re willing to have more than one cash back card, I think you still come out ahead if your goal is to have cash towards travel. Regarding your second point, I agree it’s an apples and oranges comparison, which is why I bring it up — because it’s an argument I often see made, though not one I agree with. @ Antony — I used US Airways Dividend Miles. @ Branson — And you did indeed do a good job! @ Lars — That’s a topic for a future post, though figure about $100 per night all in, times 25 nights per top tier status. @ German Expat — While I was looking at the most favorable redemption, as you point out there are other great points redemptions out there. You don’t have to redeem for international first class to get a good deal. But I think it’s when people convert points into cash that they’re not getting an especially good deal. @Lucky. He is talking about the Amex Blue Preferred for the 6%. But his example of gift card purchase is ignoring the $6 fee (1.2%) if he is referring to $500 Amex/Visa/MC gift cards, at least at my grocery. So it nets 4.8%. Maybe he’s doing it another way. Anyone ever mentioning WN points without talking about the Companion Pass is completely missing the point. It’s the whole point of concentrating on WN for many people, or should be, IMO. 1.67 cents is nothing. Real value is upwards of 5 cents, probably, if you do it right. Arguably 10 cents for a guy I know. Also remember that if you can make a trip business-related, you can deduct the fares paid with cash, but not the fares paid with miles/points. For my wife and me, it makes sense for one of us to get all the status by paying cash when possible and for the other to burn the miles/points. We take opposite roles for different programs. It gets complex. Single young people and married older people with kids or aged/sick parents and other constraints can have VASTLY different strategies and both be right. Let’s face reality, how many folks would actually set that cash aside specifically for travel ? Keeping my “cash back” in my UR bank allows me to see how my travel specific savings acct is building.